On behalf of our team at George P. Johnson GmbH we would sincerely like to thank you and your team for the fantastic work during the BMW 5 Series Product and Brand Experience 2010 in Lisbon/Portugal. Dealers from all over the world have experienced a successful event. 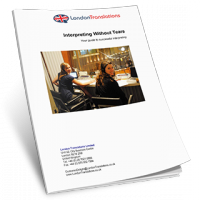 This is also a result of the outstanding services and hard work that London Translations has provided during months of planning and several weeks onsite. After the MINI Event in London 2009 we were once again impressed by the excellent implementation of such comprehensive and sophisticated interpreter requirements. 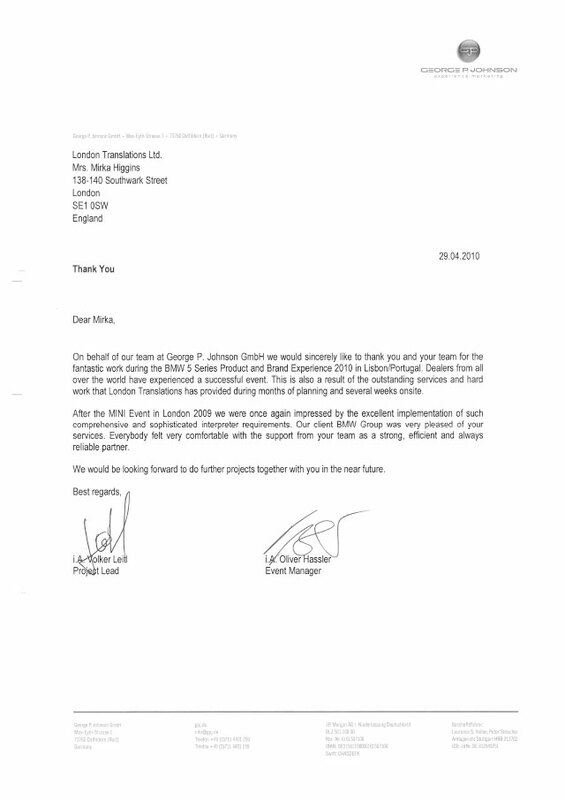 Our client BMW Group was very pleased of your services. Everybody felt very comfortable with the support from your team as a strong, efficient and always reliable partner.